I originally wrote this piece in June 2012. 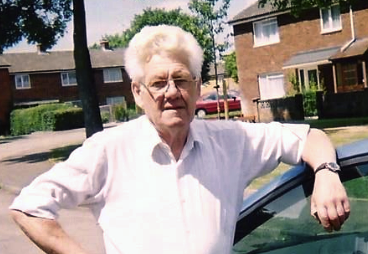 I now dedicate it to my Grandfather, Michael Lordan who passed away on the 21st February 2013; the day of his 79th birthday. 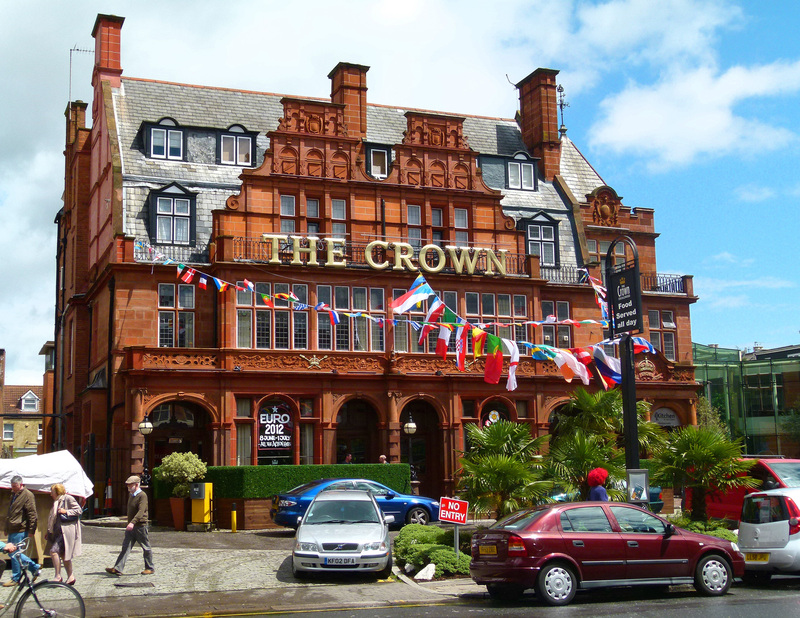 This is The Crown pub on Cricklewood Broadway, one of the capital’s largest drinking establishments and a well-known, North-West London landmark. Despite this quaint description, the nearby surrounding fields were still a popular venue for that good old-fashioned pursuit; bare knuckle boxing! The first pub here also acted as a coaching tavern, lying on a fairly local route which accommodated carriages passing between London, Elstree, Watford and St Albans. 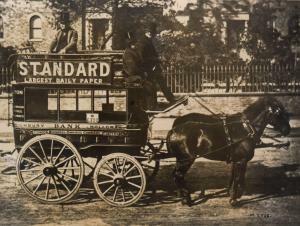 In the 1880s, the London General Omnibus Company selected The Crown as a terminus for their horse-drawn double-deckers operating between Marble Arch and North London. The current Crown pub was built in 1900; the previous one having been sold in 1898. Planning permission for the new boozer cost £86,000; a staggering amount for the time. The developers were encouraged to fork out this huge sum because, although Cricklewood was a rapidly developing industrial district, magistrates had imposed a strict limit on licencing in the area. 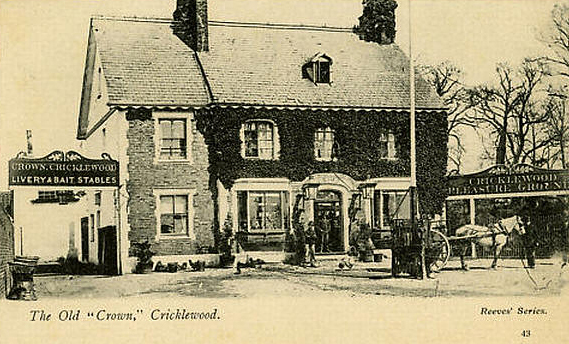 Consequently, The Crown was the only public house in Cricklewood at the time which was permitted to serve alcohol- it didn’t take a genius to realise that there were great profits to be made from such an arrangement! The grand pub, which still looks impressive today, was crafted by Henry Rising; an architect who specialised in inns… and churches! Built from red sandstone, The Crown comprises of three levels, each of which boast elegant carvings. For much of the 20th century, The Crown was famous for being at the heart of London’s Irish community which flourished around Cricklewood and Kilburn. Early each morning, groups of Irish tradesmen and labourers would gather in the forecourt of The Crown for the ‘call on’; the process in which local building contractors would turn up with trucks and vans to recruit a number of men out of the crowd for a day’s casual labour. A group of laborers waiting outside The Crown for the ‘call-on’ in 1982. This image is taken from the music video, ‘The Celtic Soul Brothers’ which can be viewed at the end of this post. The call on (which my own Grandfather- having arrived from County Cork in the 1950s- frequently participated in) was a process fraught with uncertainty- not being picked obviously resulting in not being able to earn a day’s wage. The days of The Crown being a spit and sawdust pub where local workers were drafted have now long faded. Today, the pub has been ‘gentrified’, the only nod to its working-class roots being a painted mural on one wall depicting a group of builders. A four-star, 116 room hotel has now been incorporated into the pub, part of which includes a large, glass atrium which has been built and linked to The Crown’s existing building. 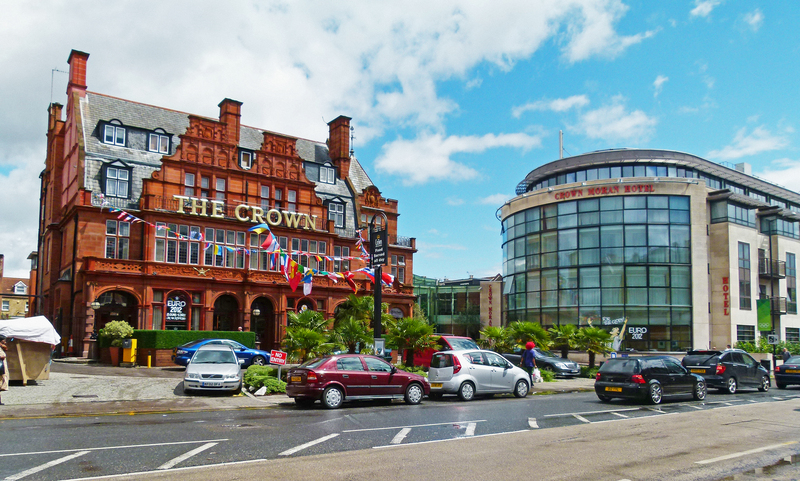 The Crown today; the new hotel atrium can be seen to the right. The hotel includes a gym, swimming pool, sauna and Jacuzzi- luxuries which the Irish lads who once began their hard days toiling here could only have dreamt of. The updated North London landmark is now owned by Moran Hotels; an Irish company who also own hotels in Dublin and Cork, so it’s nice to know that The Crown still maintains a strong link with the Emerald Isle. 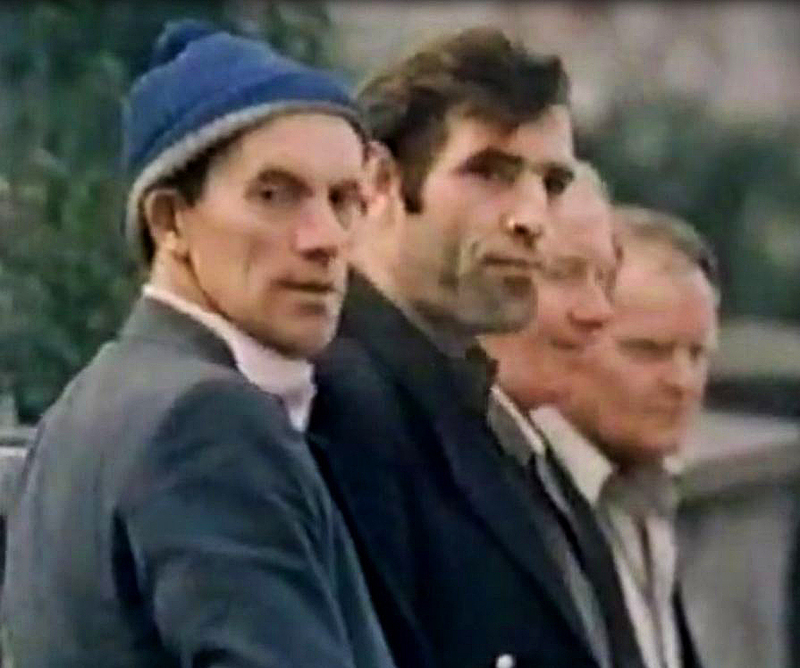 In 1982 pop-group, Dexys Midnight Runners released their single, The Celtic Soul Brothers and much of the accompanying video was filmed in and around Cricklewood and The Crown. The beginning of the promo depicts the ‘call on’ outside the pub, something which still took place every morning in those days, and towards the end of the video the band can be seen giving a spirited performance inside The Crown itself, followed by a melancholy fadeout as the camera slowly and silently rises over a twinkling Cricklewood Broadway. In memory of my Grandfather, Michael Lordan. I was sorry to hear about your grandfather’s death, but what a lovely tribute you paid to him and all the Irish laddies who frequented the Crown! I loved the song about the “craic”! 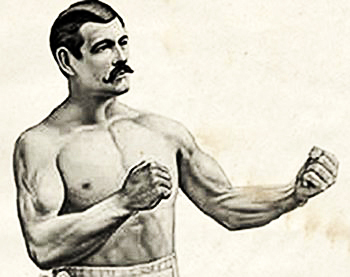 The bare-knuckles fighting reminded me of my great-grandfather’s pub, the Greyhound, in Crich, Derbyshire. He would apparently put saltpeter in the beer to make the men fight in the field behind the pub. And speaking of grandfathers, and I love to speak of mine, as you do of yours, I’ve written about a hedge that my Grandad pleached 70 years ago: http://theyearoflivingenglishly.wordpress.com/2012/01/21/my-grandfathers-pleached-hedge/ God bless our grandfathers, now gone from this life. That’s really kind of you, Virginia. Many thanks indeed. I remember in 82 as a 18yr old standing outside the crown early morning in the cold hoping for a start,i rarely got one as I was to skinny not old enough or I spoke with a London accent despite having a irish dad I was a plastic! on the rare occasion I got one they made sure I earnt my money,boy it was hard graft,then back in the van dirty & smelly back to the crown to spend the days wages,1st in one of the numerous cafes for dinner for some great home cooking,bet they all gone now?then over the rd for a few light n bitters,kickd out drunk at 11 back to the bedsit hoping to wake in time for another days work.the weekends were great,in the crown then onto the galtymore or venture into Kilburn,wilesden or Neasden with more of a choice of pubs.im sure in the early 80,s the crown still was the only pub there..my mate workd on the big fruit n veg stall outside,was great times back then,boy im feeling old,thanx for the great photos,sorry about your loss he lived a good lonbg life,fair play to him.. Thanks so much for sharing your memories here; really enjoyed reading them. My dad (a carpenter) wasn’t much older than you around that period and he worked on a lot of sites around London… you may have even bumped into him at some point! In recent years, a cousin of mine worked the fruit stall a short distance up from the crown, opposite the bingo hall! Take care and thanks very much again for the memories and kind words. My Great Grandma was the Landlady of the Crown sometime between 1930 and 1950. Wow 🙂 That’s a real claim to fame… I bet she had some stories! Great recollections and info, and many thanks too for the Dexys video – not on YouTube I think. Hi – my aunt and uncle May and Frank McGinn ran this pub in the late 50s,60s and 70s – my aunt died only last week at 95 years of age and she had great memories of working there and then running it., as have my cousins who lived there. Hi Nual, thank you so much for sharing that it means a lot to me. I’m sure your aunt would’ve poured my Grandpa a pint or two at some point over the years! May she rest in peace. Thanks again and much respect to your aunt and uncle. i’m sure it was your aunt and uncle who must of had my old man,Mattie Keane, as a singer from the early 60’s onwards .he was either drinking, singing or fighting,maybe sometimes all three at once ! nice to read the tales here 🙂 Martin .i wonder if anyone has pictures from the early 60’s in the Crown ? NorthWestTWO Residents’ Association in Cricklewood is trying to organise a guided tour of Cricklewood for residents. Would you be interested in doing this? That’s very kind of you to consider me… not sure if I’d know enough about the area though! I am an undergraduate student from the University of Nottingham, currently undertaking research for my dissertation while being at home in London for the summer. My project involves ideas of Irish identity within London and how the Irish community has changed within London over time. It is primarily looking at how Irish identity and the community itself changed and evolved, in relation to and as a response to the troubles in Northern Ireland, specifically as the proxy bombing campaign escalated in London from 1970-1998. I myself am a resident of Cricklewood and am of Irish descent and thus this project is extremely interesting to me personally. I am currently looking for London Irish residents to interview, this shall form an essential part of my research, as I aim to look at the individual experience of an Irishman/Woman living in London whether they be either first or second generation. Any help anyone may be able to provide would be extremely helpful, especially if you are available to be interviewed or know of anyone who may be. Really enjoyed the article, thanks. Thanks for getting in touch. You are perhaps best off trying the London Irish Centre in Camden. Hope that helps. Martin from sligo ireland, lived close to the crown in 87 , 17 yrs old then. Sure has changed alot since then , windows were broken in the upper floors. Not a place to take the gal pal too. U nreal the changes $ makes , in good old NY now . Might take the kids back for a trip. Nobody seems to care anymore. All stuck with faces in phone 😦 thanks for the article. Hello Martin, I have only just been made aware of your comment here- please accept my apologies for not responding sooner. Really appreciate your memories…. was a different place in ’87 for sure. Thanks again. On the 32 bus to kilburn to the black lion. Thank you for that wonderfully insightful contribution, Charlie… although I must say there’s little for you to be proud of in terms of your grammar. I think Cricklewood can survive the splenetic ramblings of misery-guts Charlie! I mis-spent my youth in the Kilburn/Cricklewood area and knew the Crown very well. Indeed I worked briefly behind the bar there – late 1960’s I think – until I got hit over the head with an empty Guinness bottle! Glory days! Thes might interest you. Nice comment! And many thanks for the links; they sound great and I shall certainly look them up.